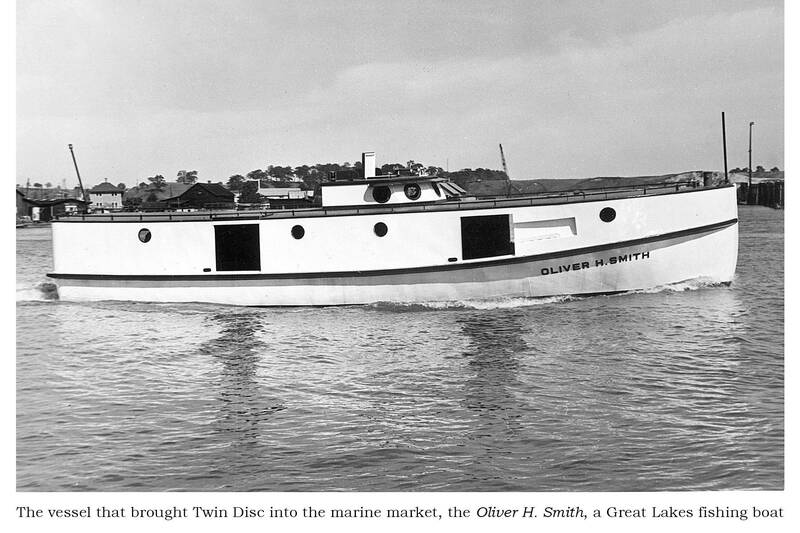 Marine power transmission and propulsion technology company Twin Disc is celebrating its 100th anniversary with a wide range of local, national and international events that kicked off in May and run throughout the year. 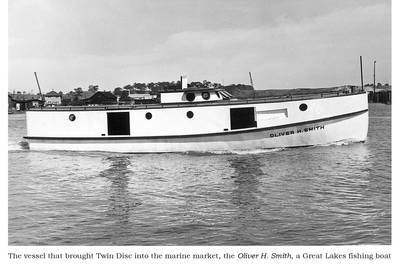 Twin Disc began in Racine, Wisc., in 1918 with P.H. Batten's introduction of the twin disc farm tractor clutch. In the 1930s, the company entered the marine market, manufacturing countershaft reduction gears with 100 percent reverse power. During WWII, it converted all its operations to the production of essential war materials, especially Higgins Boats and artillery tractors, for which it was awarded the Army-Navy "E" Award. It has grown to become a leader in innovative propulsion equipment used on recreational, commercial and military vessels worldwide, and within numerous heavy industries. "This anniversary enables us to reflect on the inventiveness of the company's founders and my predecessors, as well as the resilience and willingness to adapt, that has empowered Twin Disc to flourish for a century," said John H. Batten, president and CEO of Twin Disc. "It's also an opportunity to express our appreciation for our employees, customers, and the communities we work and live in." Within the marine industry alone, Twin Disc's schedule of events is extensive. It's marking its centenary in June at ITS: International Tug, Salvage & OSV Convention and Exhibition, then onward at Commercial Marine Expo, Fort Lauderdale International Boat Show and the International WorkBoat Show. Subsidiaries in Australia, Belgium, India, Italy and Singapore will also host celebrations. Locally, Twin Disc will open its newly installed Heritage Gallery this August, located in its headquarters. The company's 62' Maritimo demo boat will spend the summer in Racine, participating in Salmon-a-Rama, the world's largest freshwater fishing tournament, July 14-22. It will also host an international distributor meeting and participate in runs, parades and other community events. "We look forward to all these opportunities to celebrate our history, and more importantly, the people who helped make Twin Disc what it is today," Batten said. "It is my hope that these reflections encourage us to look toward our next 100 years and inspire the next generation of Twin Disc employees to imagine and develop new ways to continue to put horsepower to work."